Answers to some of the more common workers’ comp questions. Includes a link to even more comp answers. Special provisions about workers’ compensation applying to police officers, firefighters, and other public safety personnel. Though all cases are different, Warnken, LLC publishes our results, including the average value of comp cases for various different injuries. The above the link is for back cases. Medical Malpractice, in the form of a wrong site or wrong side surgery can be devastating. Unfortunately, it is probably more common than you think. 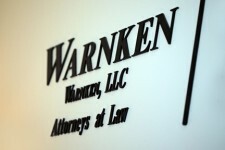 This page discusses the particulars of referring cases to Warnken, LLC. This page has some reviews, testimonials, etc. It also has links to other reviews of Warnken, LLC on the web. This page has links to staff bio pages.